Two F-35A aircraft, AU-001 and AU-002, will appear at the Australian International Airshow in March. 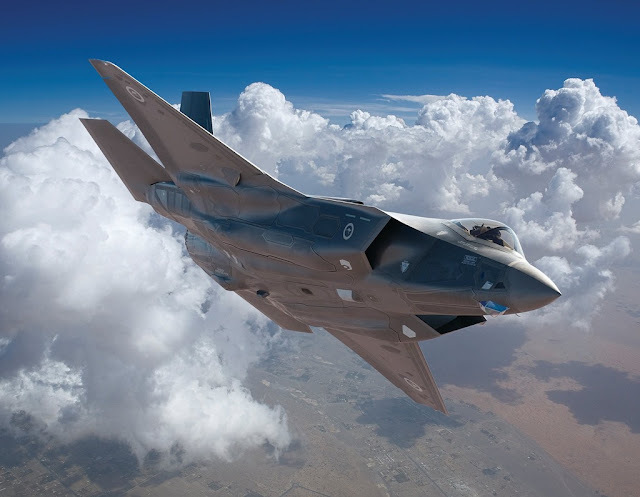 Minister for Defence, Senator the Hon Marise Payne, and Minister for Defence Industry the Hon Christopher Pyne MP, on Feb.7 announced that Australia’s two F-35A Joint Strike Fighters will make their first appearance in Australia at the Australian International Airshow. “Together, the F-35A Joint Strike Fighter and the EA-18 G Growler represent a potent and technologically advanced air combat and strike capability that is essential to our ability to defend Australia and our national interests. “The EA-18G Growler and F-35A Lightning II represent the latest in cutting edge aviation technology, and include some of the very best of Australian industry,” he said. “This is an incredible opportunity for the Australian public to see the future of aviation. The F-35A will enter Australian service from late 2018, to replace the ageing FA-18A/B ‘Classic’ Hornets. Australia is a strategic partner in the global F-35 Joint Strike Fighter program and has committed to 72 aircraft.